The Red Deer Symphony Orchestra In-School Programs bring RDSO musicians into elementary and middle/high schools for free 45-minutes presentations that provide the students with the unique opportunity to see orchestral instruments up close and experience live music. 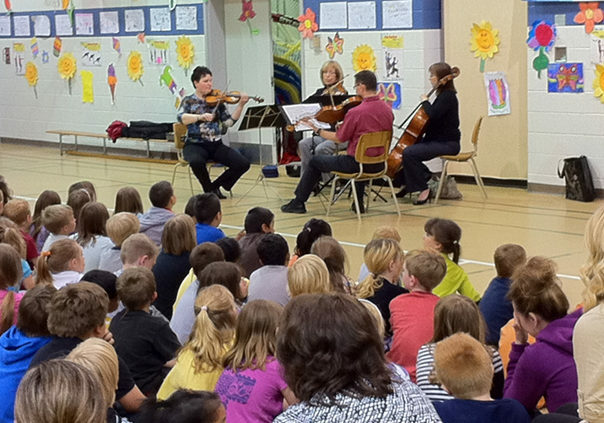 The RDSO String Quartet performs in elementary schools, with a curriculum designed specifically for that age group, while the RDSO Woodwind Quintet performs in middle and senior high schools, with a curriculum designed to support the local band programs. These well-established programs have become extremely popular in central Alberta as a result of the originality and accessibility of the material they present. For many of the students, this is their first experience with live classical music, and many teachers incorporated the elements of the presentation into their school lessons in order to maximize the impact it has on the students. 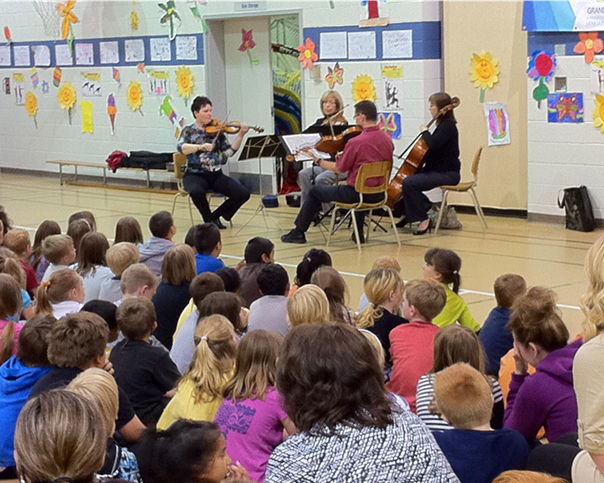 The RDSO In-School Programs are interactive, engaging, and memorable experiences for the students.